In early 2006, I began to throw around ideas of where to travel in the Spring. The year before, I had made my first journey to Central America when I backpacked around Costa Rica. A lot of people I met on that trip were touring all of Central America, and many had either come from or were headed to Panama. Bocas del Toro was a popular island chain on the Caribbean side, the exchange rate was better, and of course there was the Panama Canal. 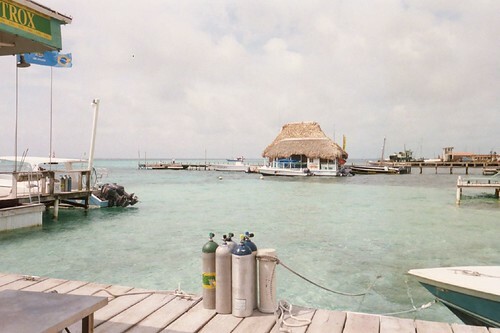 Somehow, Belize came to my attention, and given I was interested in a Caribbean feel to my trip, I began to read through some guide books at my local bookstore. All sorts of exciting activities jumped from the pages – swimming with sharks, diving the second largest barrier reef in the world, and rappelling into a 300 foot sinkhole in the jungle. Along with the islands offshore, and the commonness of English as a language in addition to Spanish lead me to chart a course for Belize!